The NENA medal for 2018 features Henry Opukaha'ia. 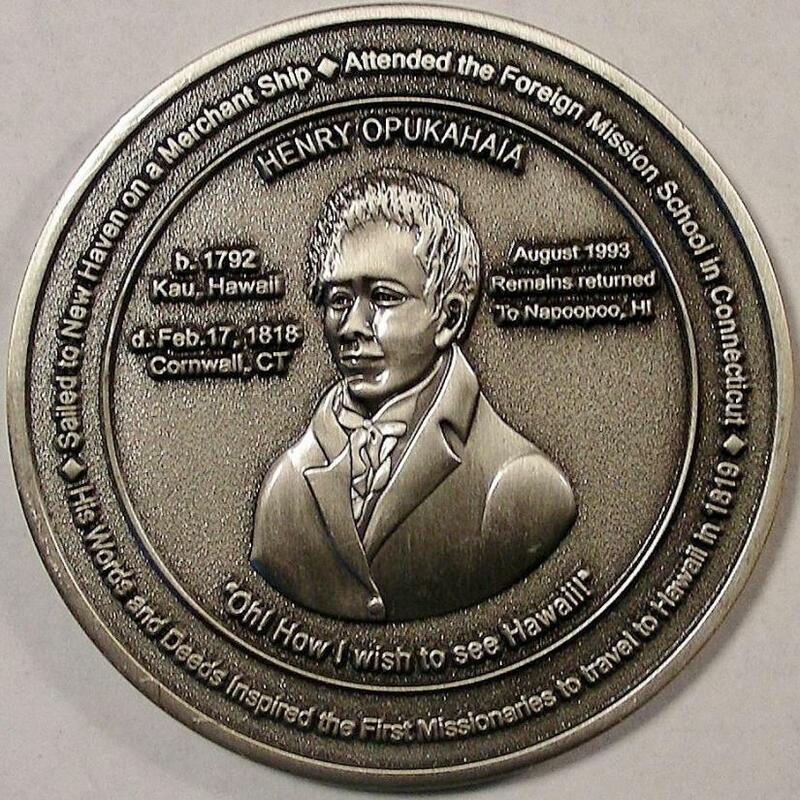 The medal marks the 200th anniversary of Henry Opukaha'ia's death and the 25th anniversary of the return of his remains to Hawaii. In his memory, the New England Numismatic Association (NENA)and the Big Island Coin Club (www.bigislandcoinclub.com) have issued a joint medal in his honor. The medals are two inches in diameter and are produced in two finishes: antique bronze and antique silver color. 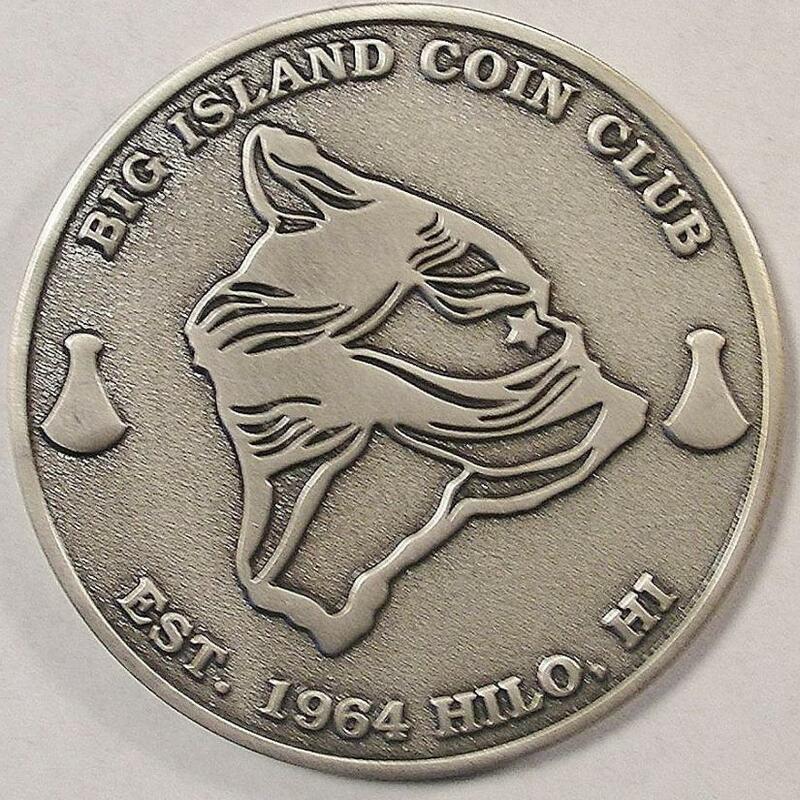 Both medal finishes share a common obverse while thereverse of the of the antique bronze features NENA's logo and the reverse of the antique silver color features the logo of the Big Island Coin Club. 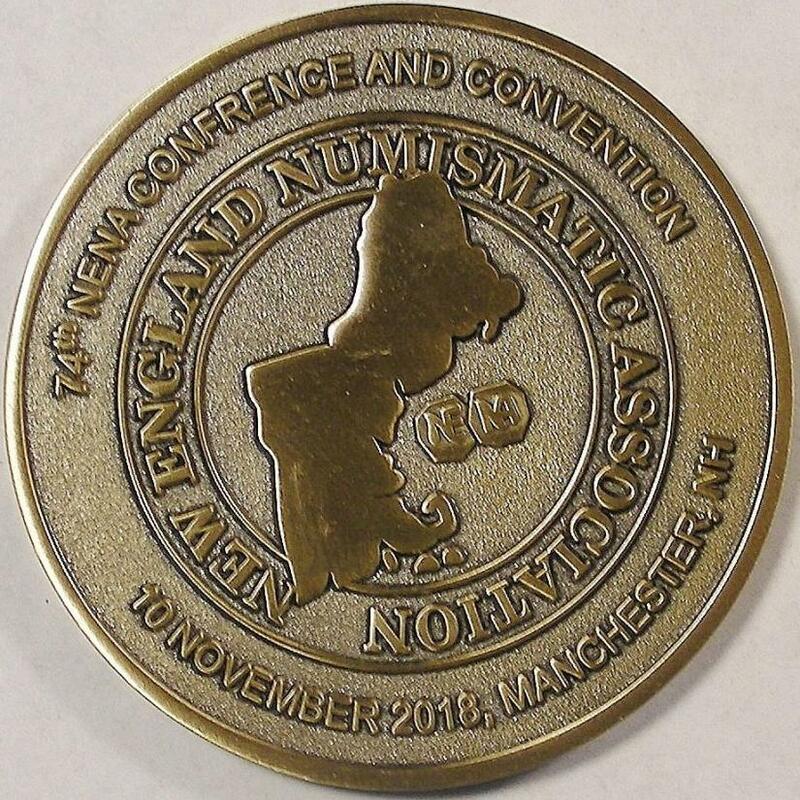 The 74th NENA Conference and Convention will be held on November 10th in conjunction with the NH Coin and Currency Expo, November 9-10 at the Manchester Downtown Hotel/Doubletree by Hilton, 700 Elm Street, Manchester, NH. See the website www.nhcoinexpo.com for schedule, details, discount coupon, and hotel reservations. Henry Opukaha'ia was born in about 1792 to a royal family in the Kua region of the big island of Hawaii (not far from the recent volcanic eruption!). Around 1803, Henry’s parents and siblings, and later his aunt, were killed as part of the war that eventually resulted in the uniting of the Hawaiian Kingdom under Kamehameha I. When he was about fifteen years old, in 1807, he decided to leave Hawaii and found a merchant ship’s captain who was willing to take him on. While on board this ship, Henry was befriended by a Yale College student, Russell Hubbard, who taught Henry some spoken English and the alphabet. The ship finally landed in New Haven in 1809. Because of Henry’s friendship with Hubbard, the Reverend Doctor E.W. Dwight, President of Yale, agreed to teach Henry to read and write. During this instruction Henry learned about Christianity and rejected the idol worship of his ancestors. Henry was a fast learner and an avid reader and writer. After New Haven, Henry continued his education with the Mills family, first in Torringford (now part of Torrington, Connecticut) and then in Andover, Massachusetts where Henry confessed his Christian faith in public, completing his conversion. He decided he wished to return to Hawaii as a missionary. Toward the end of 1816 Henry accompanied a Reverend Perkins, an agent of the Board of Foreign Missions, to solicit donations for the benefit of the Foreign Mission School in Amherst, Massachusetts. Partly because of Henry’s presence, donations were much greater than usual. 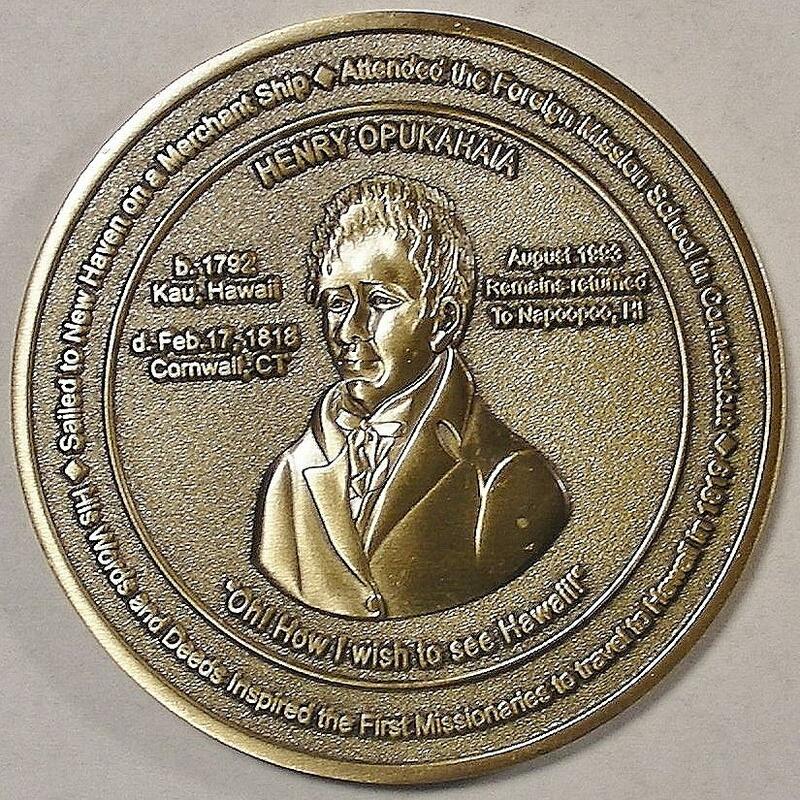 When the Foreign Mission School moved to Cornwall, Connecticut in May 1817, Henry followed, and continued his studies with the goal of bringing Christianity to Hawaii. But sadly, he fell ill in early 1818 and died on February 17 of that year at the age of 26. Before he died Henry was reported to have said, “Oh! How I want to see Hawaii! But I think I never shall. God will do right. He knows what is best.” Henry was buried in the Congregational Church yard in Cornwall. A few months later, a small book by Rev. Dr. Edwin W. Dwight was published as “Memoirs of Henry Obookiah” including many of Henry’s own letters and diary entries. On October 23, 1819, inspired by Henry Opukaha’ia’s life as narrated in the book, fourteen missionaries left Boston on the brig Thaddeus. They arrived in Hawaii five months later and began their work of bringing Christianity to the Hawaiian people. In 1992, Deborah Li’ikapeka Lee, a distant cousin of Henry had a vision that he wanted to have his remains returned to Hawaii. With the help of friends, relatives and officials in Hawaii and Connecticut, she arranged to have his skeletal remains exhumed, which were still intact. The remains were placed in a koa wood casket and flown to the Big Island on July 26, 1993. On August 6, 1993 he was reinterred on the grounds of the Kahikolu Church in Napo’opo’o overlooking Kealakekua Bay. There were ceremonies in both Cornwall and Hawaii, led by Rev. David Hirano, United Church of Christ Connecticut Conference minister, and Hawaii native. Though many have said that the arrival of the missionaries in the islands was a mixed blessing for the Hawaiian people and their culture, there is no doubt that Henry Opukaha'ia forged a link between New England and Hawaii that has lasted for centuries. The year 2018 marks the 200th anniversary of Henry Opukaha'ia's death and the 25th anniversary of the return of his remains to Hawaii. In his memory, the New England Numismatic Association (NENA) and the Big Island Coin Club have issued a joint medal in his honor. "Memoirs of Henry Obookiah by Edwin D. Dwight, Revised Edition, complete with new epilogus and pictures of his return to Hawaii", Copyright 2012, Women's Board of Missions for the Pacific Islands. “United Church News, CONNtact edition” Vol. 9, No. 7 September 1993. 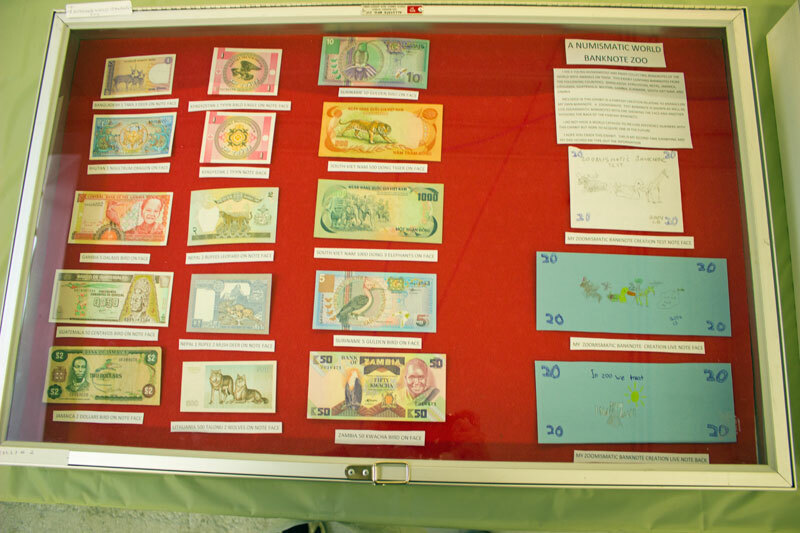 A nice exhibit of animal themed banknotes. An exhibit of NENA items from past conventions.